Boeing and Qatar Airways finalized an order for five 777 Freighters at the 2018 Farnborough International Airshow. The deal, valued at $1.7 billion at current list prices, was announced as a commitment in April. The announcement was attended by the State of Qatar’s Minister of Finance and Qatar Airways Chairman, His Excellency Ali Shareef Al Emadi. 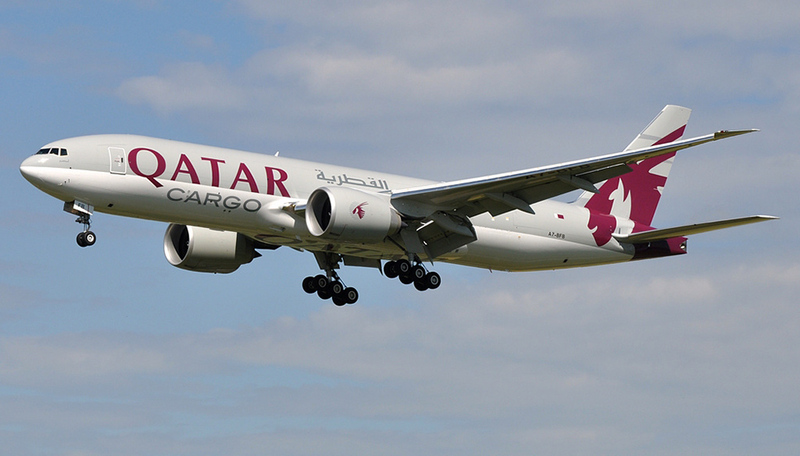 Qatar Airways, one of the world’s top cargo carriers, operates a fleet of 13 777 Freighters and two 747-8 Freighters. With this latest order, the airline is set to grow its Boeing Freighter fleet to more than 20 jets. Boeing has now sold 65 widebody freighters in 2018, and more than 180 widebody freighters since the start of 2014, which equates to a 98-percent share of the market. In that same time, Boeing has delivered more than 140 wide-body freighters, which translates to a 92 percent share of deliveries. Qatar Airways also uses Boeing Global Services to improve its offering for its customers. The airline uses services products such Maintenance Performance Toolbox, Airplane Health Management and flight deck solutions, all powered by Boeing AnalytX.